As we know we use Revision Cloud to highlight any changes made inside Drawing. It is easy to look at revision cloud and identify revision changes rather than looking at whole Drawing files and Comparing it with the older version of a file. 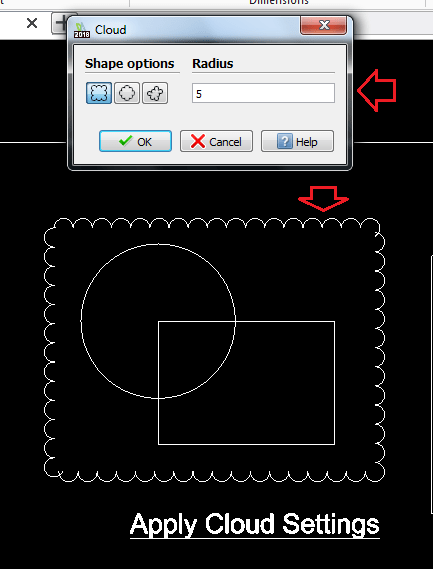 In DraftSight use Cloud Function to place Revision cloud in GA.
You can find on Draw Toolbar. Run CLOUD command and use option settings or Click on Settings Tab from above. 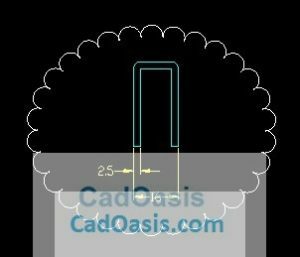 Here, You can change the Shapes of Cloud, Set Radius of cloud arc. 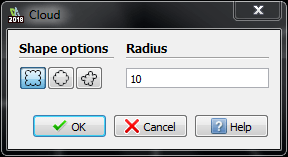 Also, you can set radius of cloud arc from command line. You can Change Existing layer from Layer drop-down list. You don’t need to load LineStyle you can directly use from this dialog box. First 3 options define Shape of Cloud Entity. 2. 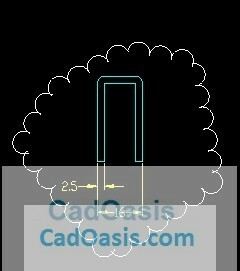 Freehand : Use it to Draw free hand Revision Cloud . You don’t need to find end point and close it. You can Right click and Select option Close. Place Revision cloud on different layers So you can turn on and off at any time. Give Revision Cloud revision symbol to identify them from Drawing. Use Revision Table for all Revision Clouds.